Join us Saturday January 7th for an exclusive TNT Baseball Academy Camp for the Columbus Cobras 10U-12U players! Columbus Cobras 13U player and TNT Baseball Academy student, Gavin Henry. 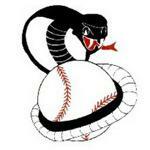 Thank you Columbus Cobras Baseball CLub for using TNT Baseball Academy for your players' development!